If there's a time to load up on the glow - it's summer! There's nothing I love more than a good glowy makeup look. There's so many ways to get glowing skin, and I personally love to keep my skin glowing with AND without makeup. I try to wear makeup less (and less makeup when I do wear it) during the summertime, so I'm always looking for the best way to get that fresh look. 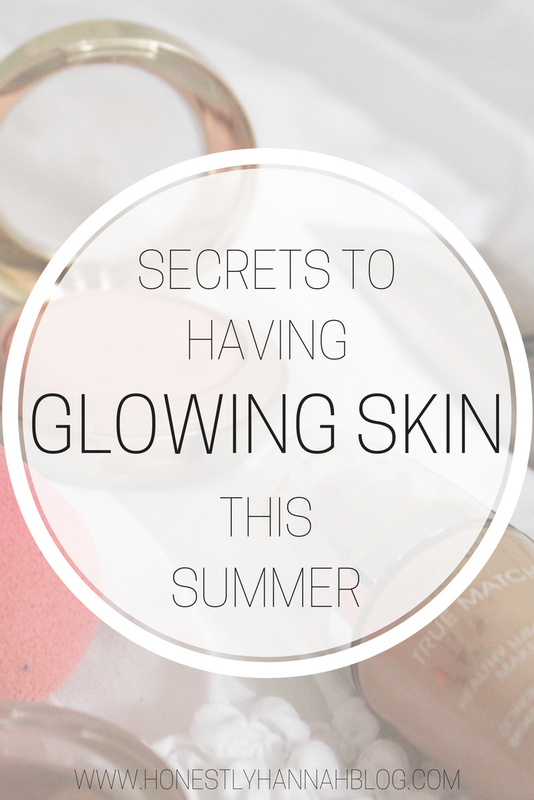 Keep reading for my secrets to having glowing skin this summer! I've talked about rosehip oil before, so if you want to hear more about the benefits (other than glowing skin), read this post. This stuff is a glowing skin essential during the summer, but I honestly use it all year round! I always put it on in the evening before I go sleep, and I mean I really put in on. I like to take extra time to massage it into my skin before actually moving onto moisturizer. There's tons of benefits to rosehip oil, so you should definitely be using it on the daily! It's especially awesome for creating a nice glow on the skin in the summertime. I've noticed such a difference in my skin since I simply started drinking more water and staying hydrated. I always have a water bottle with me and I make sure to drink it throughout the day, plus refill it multiple times. If you're not a huge water fan, adding lemon is a lifesaver! Lemon is also amazing for the skin as well, so it's a win-win. I also try to drink at least one cup of green tea a day. I used to hate the taste, but now it's my absolute favorite tea and I feel like I can't go a day without it. There's a bunch of additional benefits of green tea as well! I recently started using the real beautyblender as opposed to the knockoffs, and let me tell you, I see a huge difference (more on that here). 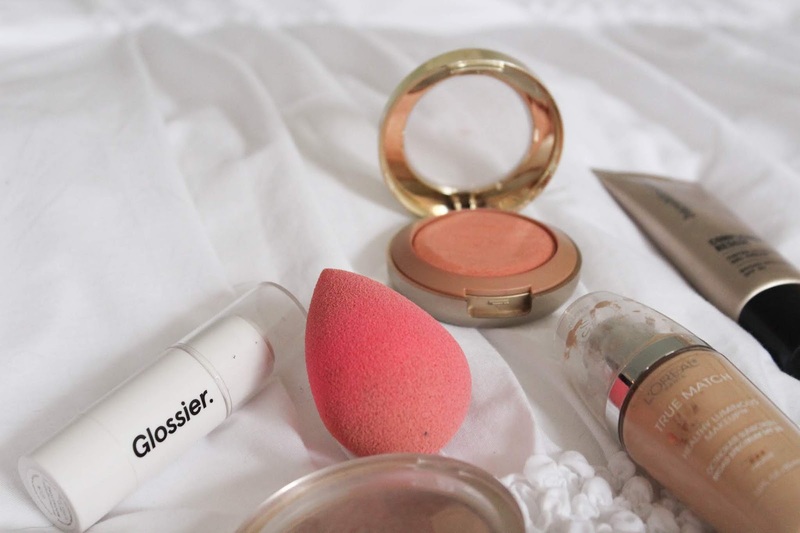 When I apply makeup with the beautyblender instead of a brush, my makeup goes on much more naturally and looks gorgeous and dewy! 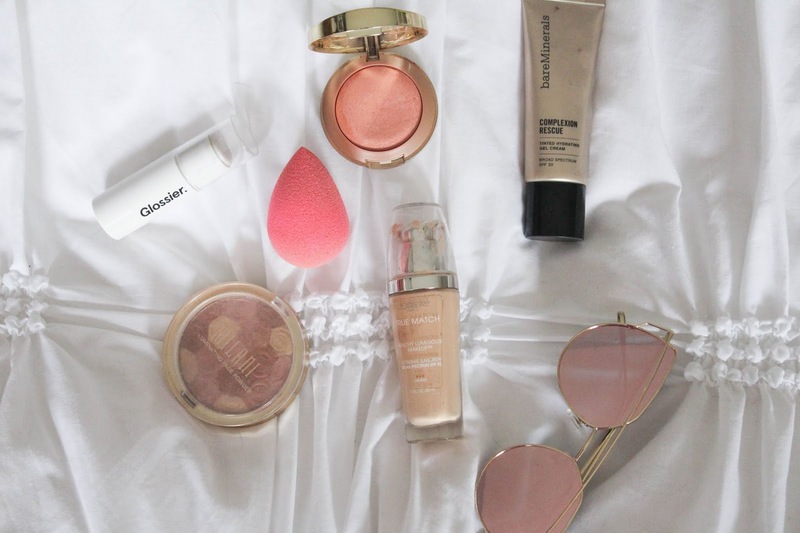 Instead of going for a brush this summer, try opting for a beautyblender and you'll see a huge difference in your complexion. One thing that tends to come along with dewy skin is nice, smooth, youthful complexion. I've been using SPF every day on my face for years, and I like to think that this is one of the things that's kept my skin looking young. If you're afraid that putting SPF on your face will break you out, try this one! It's oil free and works like a charm. If you don't use SPF, the sun will obviously damage your skin, and who wants their skin to age quickly? NOT me. I would rather have fair skin now than wrinkled skin when I'm 30, but that's just me. I discovered this trick a few months ago, and I'm so excited to use it for summer! I got this Glossier highlighter and I simply dab it on the tops of my cheekbones, nose, and cupid's bow before I go in with foundation and it gives the perfect natural shimmer to the skin. 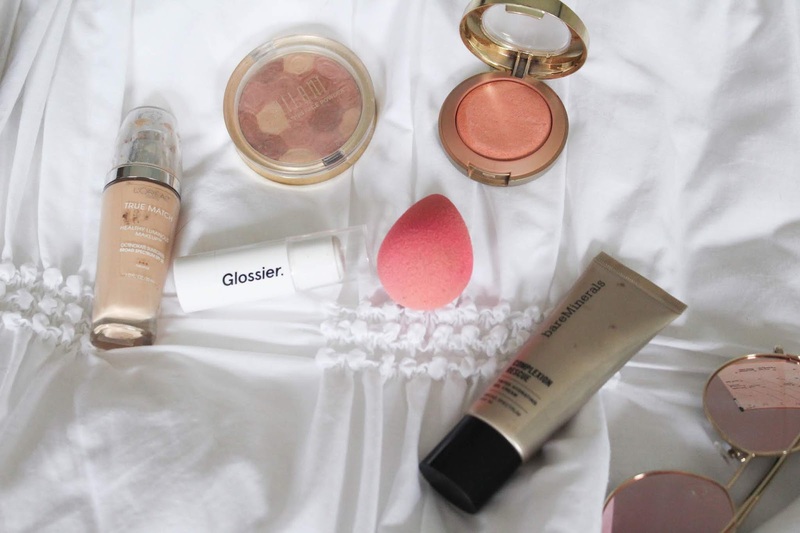 Sometimes in the summer you don't want to look like a literal glow stick (which powder highlighters can tend to cause), so applying liquid highlighter UNDER your makeup is a great option! I love makeup as much as the next girl, but the summer is the perfect time to give your skin a little break and let your natural skin shine through. 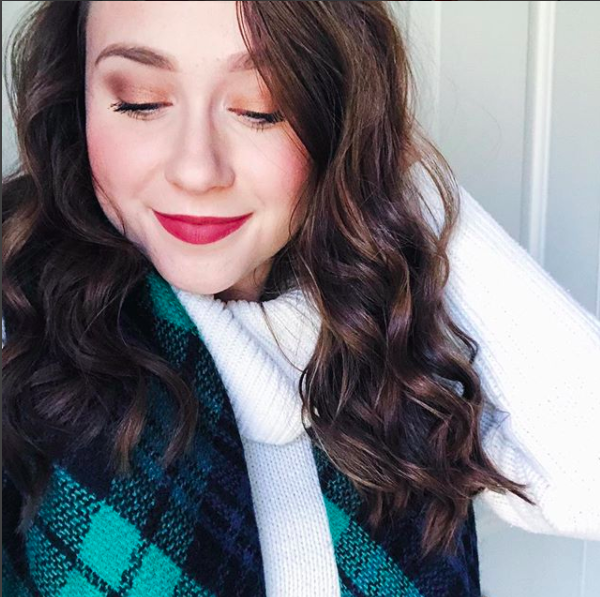 Makeup can dry out your skin and even clog pores, so it's important to give your skin some time to rejuvenate without makeup! How do you keep your skin glowing throughout the summer months? Great tips! And yeah, water is so important!! Hey girl! So I already have skin that is prone to being oily. I was just wondering if the rosehip oil could make me even more oily?